Monday was a great way to start off the week as we found that our Experiment campaign had already received two donations, we received a lifetime supply of pipette tips from VWR, and we found that our cells were viable under all tested conditions after two days of preservation! We started on a BnzABCD in-vitro enzyme activity assay and prepared for our first full run of bacterial preservation; we also worked on Gibson and pGEM transformations. In the dry lab, we modified the universal promoter to make the ratios of constitutive organisms more desireable and sent an email to an employee at the BP Whiting plant, in the hopes that we can set up a Human Practices meeting. Keep your fingers crossed! Tuesday was a busy day for the wet lab! We performed periodic viability checks for our bacterial preservation assay to determine the upper limit of storage within each medium, ran a PCR amplification of all gBlocks along with a GFP digest to test universal RBS strengths and ran the digest through a gel, performed gel purification, tested dilution factors for colony forming unit (CFU) counts, and began pGEM on gBlocks 1-3. We also researched the effects of introducing bacterial species native to the lung microbiome to different human microbiomes and completed the design of the universal promoters. We met with Dr. Amber Hopf Jannasch, the lab manager for BIND 134 on Wednesday morning to get the ins and outs of her lab supplies and safety training. In the wet lab, we performed pGEM and Gibson transformations, gel extraction on GFP-transformed bacteria and gBlock 6 PCR product, and touchdown PCR on gBlocks 4-6 with DMSO, glycerol, or GC enhancer as additives to troubleshoot our PCR struggles; none of them worked. We also tested the viability of bacteria suspended in a variety of mediums and stored in different preservation conditions the previous day. The dry lab work was more productive; we are learning how to use Bootstrap on websites to make our wiki look more clean and modern and we emailed potential Human Practices contacts, including the Indiana State Department of Health Tobacco Use Prevention and Cessation Commission, about meeting to discuss their feelings about our product. We also reached out to the University of Michigan about a potential collaboration and summer meeting! On Thursday, two team members met with PhD candidate Hakeem Abdul Wahab from the statistics department to get feedback on our Human Practices survey and discuss how we want to draw conclusions from the data we get once our survey is distributed. In the meantime, we repeated PCR for gBlock 4 (for the final time!) and inoculated the white colonies from Wednesday’s pGEM transformation. Our test run of the preservation assay ended, telling us that E. coli can be stored in nanopure water, sucrose, or sucrose and milk at -80 and -20°C temperatures for at least five days and still produce viable cultures. The full, two-week run will begin tomorrow. We also finished designing the universal promoter, and we plan to order it soon! Finally, we had a PI meeting with Drs. Rickus and Solomon to receive feedback on our project; so far the project is on track, and our advisors are very pleased with our progress! We ran our first iteration of the preservation protocol on Friday. Our first dilution tests were plated after an hour of freezing for each condition: -80 or -20 °C and nanopure water or milk and sucrose media. 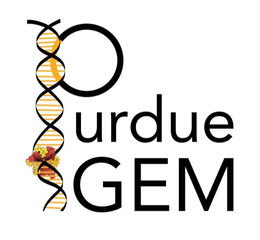 Additionally, we continued our pGEM transformations by performing ligation and digestion on the pGEM plasmid for gBlocks 1-3. On Saturday and Sunday, our dedicated team members returned to the lab to verify dilution factors and plate the preservation protocols from Friday. We also performed a miniprep on gBlock 3 in the pGEM T-easy vector, as well as digested and gel purified GFP from a kit plate. Finally, we performed a bacterial transformation of gBlocks 4-6 pGEM ligations. pGEM ligation results: While there are many blue colonies, a few white colonies (meaning a successful transformation) were identified (marked with black Sharpie dots). Chart of Universal Promoter Genera Distribution: This pie chart shows how the distribution of genera which contributed to the design Universal Promoter developed over each iteration. The final iteration is shown in the middle and the genera contribution percentages are labeled. In theory, each of these genera should be able to express the promoter. Viability Tests of Preservation Assay: The preliminary assay to determine cell viability in a variety of temperatures and media over a week showed that the cells were able to survive and be cultured. A more in-depth assay will be performed this week.